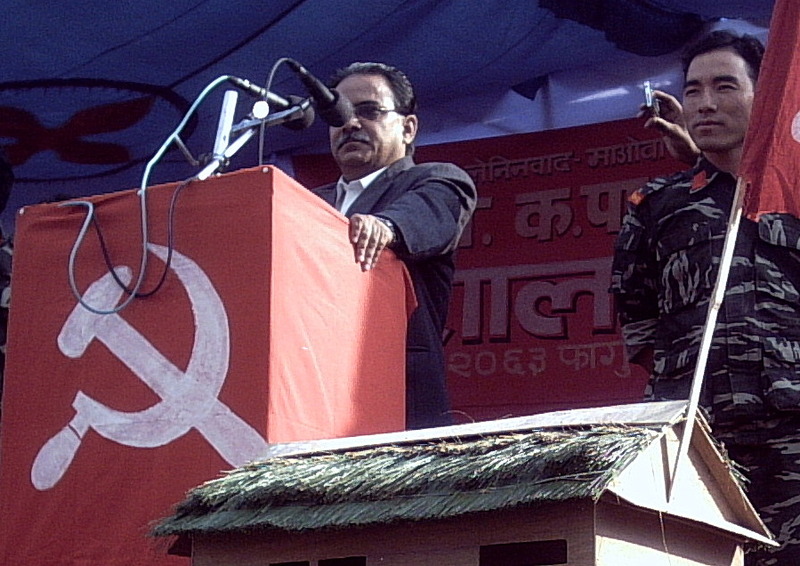 First of all, on behalf of our party, the CPN (Maoist) and myself, I would like to extend revolutionary greetings and red salute to all the participants of this historic seminar and through them to the entire leadership and rank and file of the respective parties and organizations. I also extend a warm welcome to you all in this land of raging proletarian revolution led by our party, the CPN (Maoist). It has been a great honor for our party to host this international seminar at this important historical juncture. We are all more proud to organize this event on the happy occasion of 114th birth anniversary of Com. Mao, who raised the science of proletarian revolution to the highest pinnacle of Marxism – Leninism – Maoism (M-L-M) and remains our most revered teacher and guide to this day. We also want to reaffirm our total commitment to the science of M-L-M as an all powerful weapon of proletarian revolution. We had visualized hosting an international gathering of Maoist revolutionaries on the occasion of completion of ten glorious years of People’s War led by our party, some time last year. The idea first materialized during the course of bilateral meeting with the CPI (Maoist) and we were highly encouraged by them to go ahead. Later on, other fraternal Parties and organizations and particularly the Committee of the RIM provided much needed encouragement and good advice for organizing the seminar. Thus ultimately the long cherished revolutionary dream has materialized and we are gathered here for the international seminar on “Imperialism and Proletarian Revolution in the 21st Century”. We thank you all for giving us this opportunity and responsibility for organizing the seminar. As you all know, we are in the era of imperialism and proletarian revolution, but imperialism is a dynamic phenomenon and it has undergone significant changes since the time of Lenin, who first defined imperialism as moribund capitalism. The inherent tendency of concentration and centralization of capital and the law of uneven and unequal development of capitalism leads to imperialism. The tremendous advance in the productive forces, particularly in the sphere of communication technology, and ever widening unevenness and inequality in development of global capitalism has now resulted in globalized imperialism. The principal hallmarks of this new form of imperialism have been the tremendous globalization of capital as finance over capital in production, great fluidity of finance undermining the ability of the nation-state to intervene in the economy, the rise of a single state or a group of states as super-state, among others. In recent times the USA has risen to the status of a super-state and has armed itself to the teeth to defend its position as the sole imperialist super power of the world. The USA is estimated to account for 40% of the world’s military spending and possesses a military force greater than the next eight powers put together. This bloated form of globalized imperialism has further enhanced militarism, which is manifested in blatant imperialist aggression and occupation as in Afghanistan, Iraq and elsewhere. Thus globalized imperialism and accompanied militarism is creating an excellent objective condition for a globally coordinated resistance of the masses under the leadership of the proletariat. This objective reality ought to be correctly grasped by the genuine Marxist-Leninist-Maoist forces of the World. The obverse side of imperialism is proletarian revolution. However, the bitter experiences of all the proletarian revolution of the 20th century ending in counter-revolution and the failure to make any successful revolution after the demise of Com. Mao in 1976, have raised serious questions on the subjective side of proletarian revolution at the moment. We definitely have glorious signposts of historical and social contexts. But, in our opinion, revolution cannot be repeated but can only be developed or improved upon. Similarly, we will have to seriously look for the objective and subjective reasons for the series of counter-revolutions and attempt to avoid them in the new context. Though revolutions cannot be made strictly on the condition of infallibility, it is always prudent and desirable to attempt to avoid the obvious pitfalls. In the context it is of particular importance for the proletarian revolutionaries of the 21st century to pay adequate attention to the question of defence, application and development of the Marxist-Leninist-Maoist science of proletarian revolution. Even though rightist revisionist distortion of Marxism-Leninism-Maoism is the main danger in general, the vigilance against dogmatism and pragmatism within the revolutionary movement is no less significant. It is only by developing the invincible ideology of M-L-M through concrete practice in the concrete condition may we be able to fulfill the historical responsibility of making revolution and preventing counter-revolution. I wish the seminar will pay adequate attention to the important ideological and political questions including the question of democracy and dictatorship already in discussion within the revolutionary camp. If I may emphasize for obvious reasons, we are proletarian internationalists. Either all of us will reach communism, or none of us will. In the current phase of globalized imperialism, international coordination of our revolutionary activities has been all the more imperative. When our enemies are working in close collaboration with each other, it is high time we too strengthen our international revolutionary solidarity. I hope this international seminar will provide a good platform for debating and discussing many issues on which we may have divergent positions. If we participate in the correct spirit of unity-struggle-transformation, mainly transformation we shall be successful to achieve higher unity on a newer basis, which is the need of the hour for our class. As our great teachers have said, the proletarians have nothing to lose but their chains; they have a world to win. Let us resolve, we shall fight as we shall win.